Whether youre starting or adding to your collection of antique sterling silver mint julep cups, youre sure to find a set you love at Nelson & Nelson Antiques. 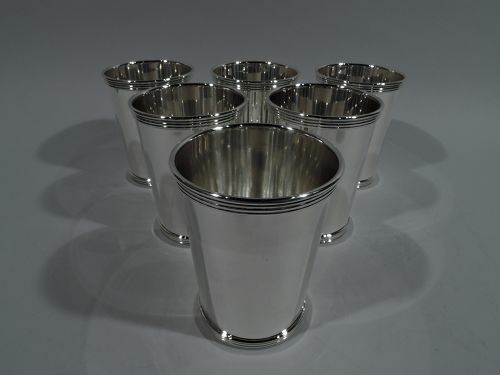 We have a large selection of sterling silver highballs and cups in conditions ranging from good to fine, most of which are perfectly serviceable. These sophisticated mint julep cup sets are available in groups of 4, 6, or 12 for you and your guests to enjoy at your next Kentucky Derby party. 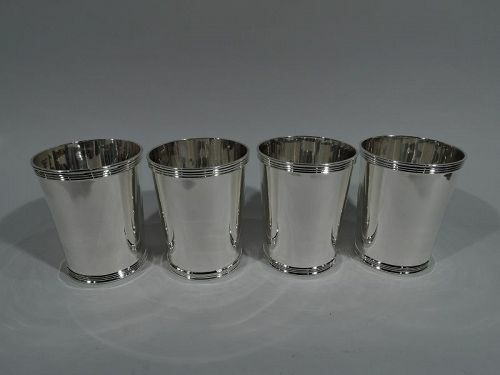 Depending on the set, you may find sterling silver mint julep cups with unique engravings and detailed rims and/or bases. Their sleek, clean lines and polished appearance make these mint julep cup sets lovely to use as intriguing display pieces. Some sets date back to the early 19th century and are crafted by a variety of fine silversmiths including Tiffany & Co., Manchester Silver Co., and Stieff. 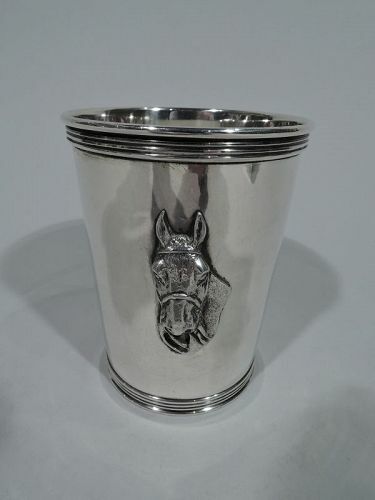 Celebrate Derby Day with this sterling silver mint julep cup. Retailed by Trees in Lexington, Kentucky. Straight and tapering sides with applied horse bust and reeded rim and base. Fully marked. Very good condition. 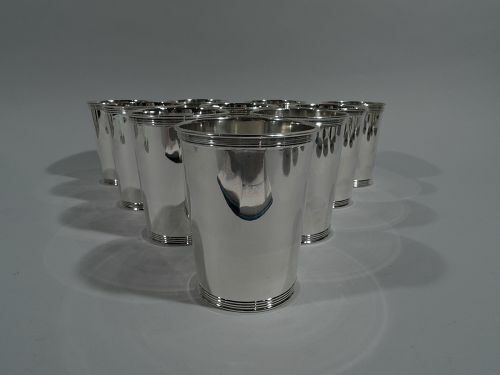 Set of 6 sterling silver mint julep cups. Made by International in Meriden, Conn. Each: Straight and tapering sides and reeded rim and base. Fully marked and numbered 101251. Very good condition.